Subscribe to NCSY Alumni Newsletter. 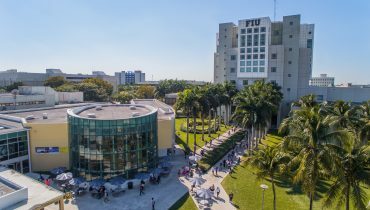 Florida International University is in Miami, FL and has a Jewish population of 3,500 Jews, which is 9% of the school, and which includes 13 NCSY alumni. There’s a Hillel, Chabad on campus (the Friedmans), an Olami rabbi (Rabbi Freiberg), and some kosher food on campus. Copyright Orthodox Union ©2019. All rights reserved.